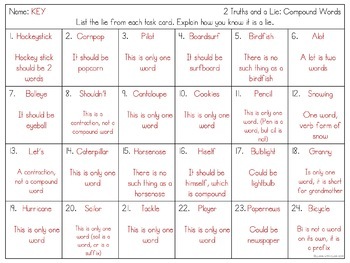 Use these 24 task cards to see if your students can determine the lie. 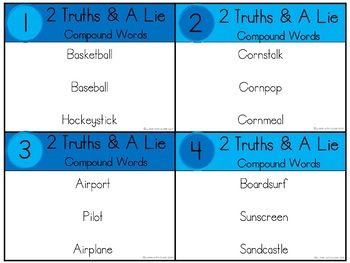 Following the game of 2 truths and a lie, students looks at a list of 3 compound words to determine which word is not a compound word and explain why. 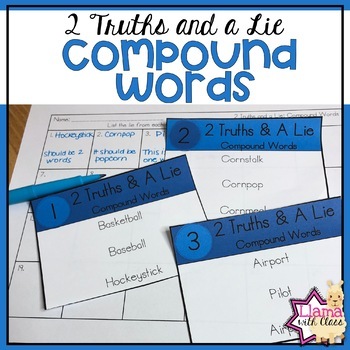 This is a fun way to reinforce compound words with your students.